The new TATRA PHOENIX Euro 6 2018 model is similar in appearance to the current generation – though there are some differences in the colour scheme, as the new model combines the body colour with the matte and gloss black cabin front grille sections. However, the real changes are underneath the surface, in the technological solutions developed for the 2018 model – creating a completely new generation of vehicles that offer enhanced added value to customers. To sum up the main differences between the 2018 model TATRA PHOENIX Euro 6 and its predecessors, the new generation of this popular truck is quieter, more technically sophisticated, more powerful, and more user-friendly – as well as being able to carry an increased payload. 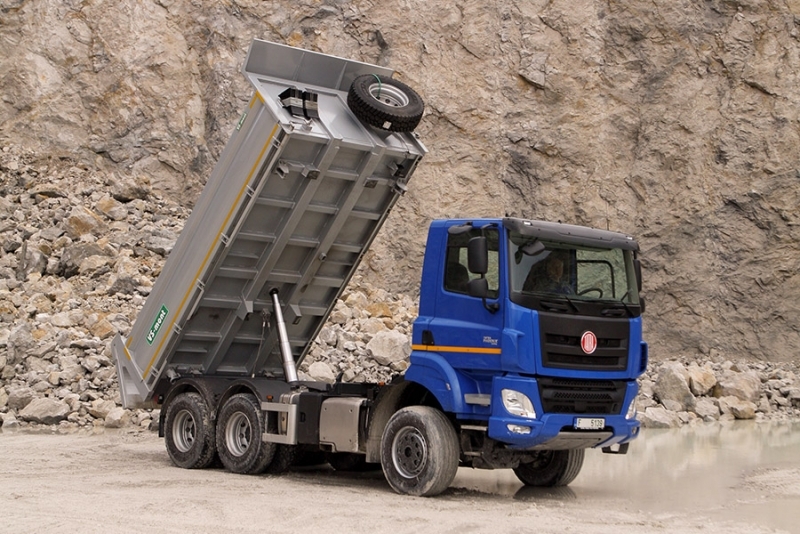 Thanks to the compact dimensions of the new emissions control technology (consisting of the DPF filter, the SCR system and the catalytic converter), the new generation not only offers more space for the superstructure, but can also carry a higher payload without increasing the total weight. The new engines (the MX-11 and MX-13) meet Euro 6c emissions standards; the engines are quieter, more economical and greener than their predecessors, while also offering increased power. The new trucks can be fitted with a TraXon automatic transmission system (one of the world's most advanced transmission systems of its type) combined with our in-house reduction transfer case. 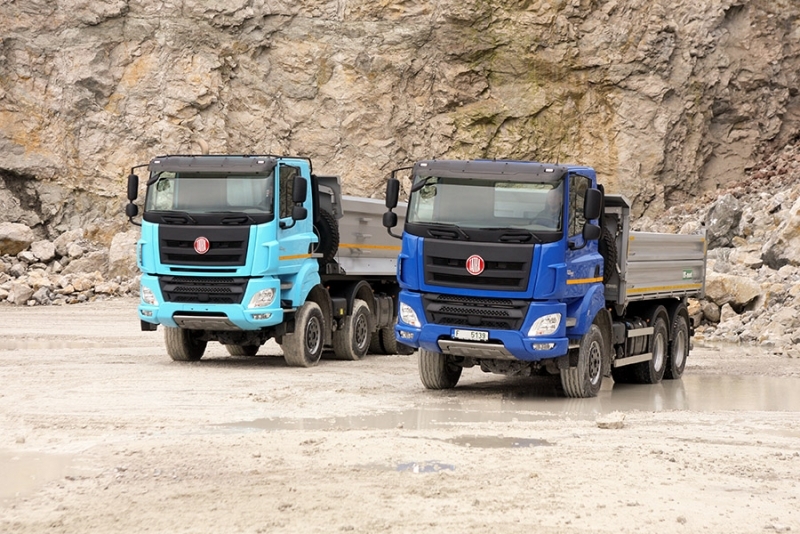 In addition, 95% of the 2018 TATRA PHOENIX Euro 6 trucks are without hub reduction. Thanks to these features, the new-generation vehicles offer a key advantage to buyers: a very low TCO (Total Cost of Ownership) coefficient. The TATRA PHOENIX – a combination of the unique TATRA chassis concept with components supplied by leading international manufacturers – has quickly established itself as a distinctive presence in the global automotive market. Both TATRA and our suppliers are constantly working to develop and improve the various components and assemblies used in the vehicle. Thanks to a commercial agreement with leading Dutch manufacturer DAF Trucks, we are able to offer our customers world-leading solutions in the heavy goods vehicle segment. One of the most striking innovations in the new-generation TATRA PHOENIX is the cabin, with all-new soundproofing and a new interior colour scheme. The controls and switches are all new, as is the display behind the steering wheel. The electronic architecture of the entire vehicle has undergone major changes, and now features a combination of LIN and CAN technologies. The engines have also been thoroughly modernized to reduce noise levels and maximize fuel combustion efficiency. The engine operating speed has been reduced and torque increased; maximum torque is now available from 900 min-1. The maximum power of the MX-11 and MX-13 engines has been increased by between 7 kW/10 hp and 14 kW/19 hp, and the torque has been increased by between 50 N.m and 200 N.m depending on the engine's power output. 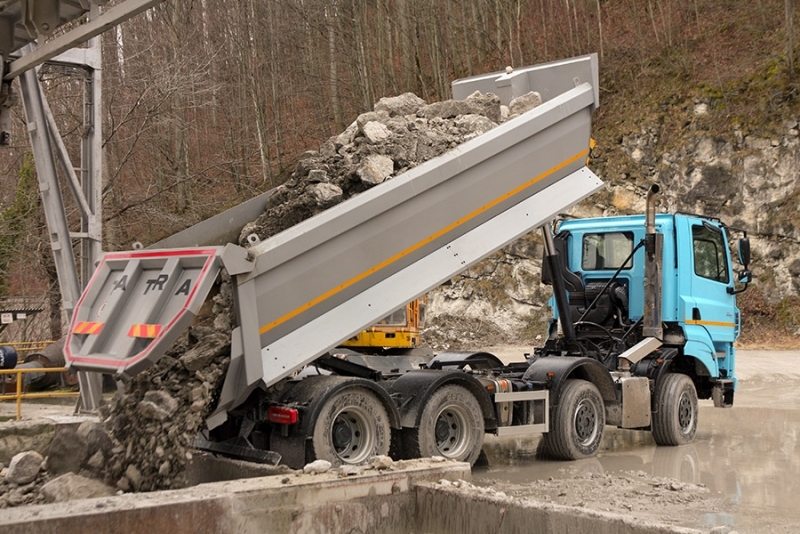 TATRA has also made major structural changes enabling the vehicles to be fitted with a 10-tonne front axles, lifting rear axles or steered rear axles (mainly for 10x10 vehicles and related versions). Another major innovation is the option to fit disc brakes. In addition to the standard 16-gear manual transmission, customers can also choose a TraXon automatic transmission (a replacement for the previous AS-Tronic automatic system). The new transmission is only available as a 16-gear unit. 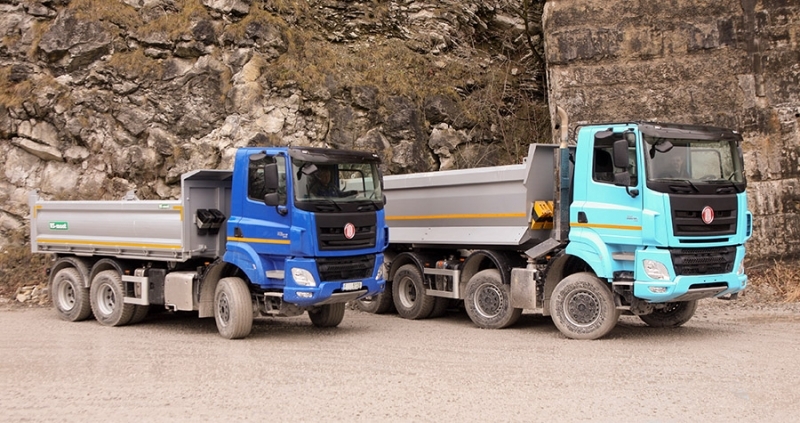 It features specially developed software designed to handle the most challenging terrain; experts from TATRA TRUCKS played a key role in developing the new software.